Patience is important in wetlands photography. There are two types of photographers – those who know what they are doing and those who do not. Those who do, study their subject intently before ever switching on the camera. They consider light, aperture settings, angles and many other factors before deciding when and where and how to capture the sublime image. And they wait for the moment. But that doesn’t preclude those who don’t really understand the inner workings of a camera from capturing that ‘wow’ image. Especially in this digital age where the only limit is the size of your camera’s memory card. Waiting for the moment, or exercising patience, is especially important when trying to capture wetland inhabitants. 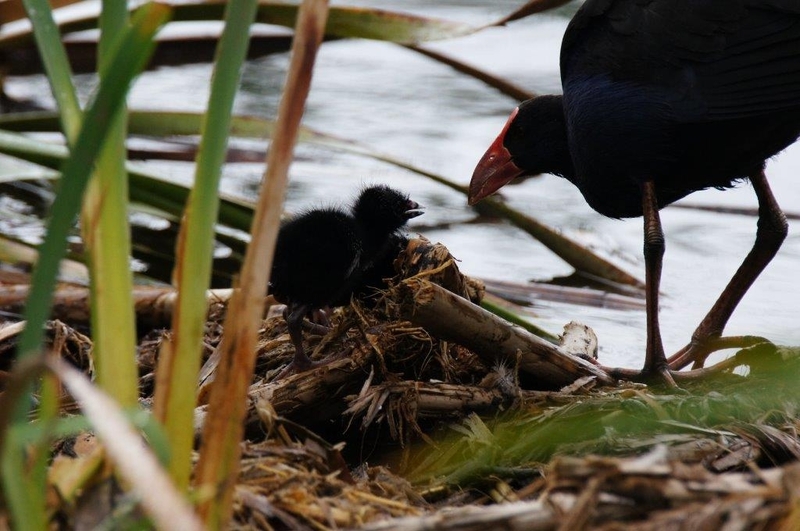 Eminent Waikato conservationist Dr Gordon Stephenson describes wetlands as ‘New Zealand’s shy places’. 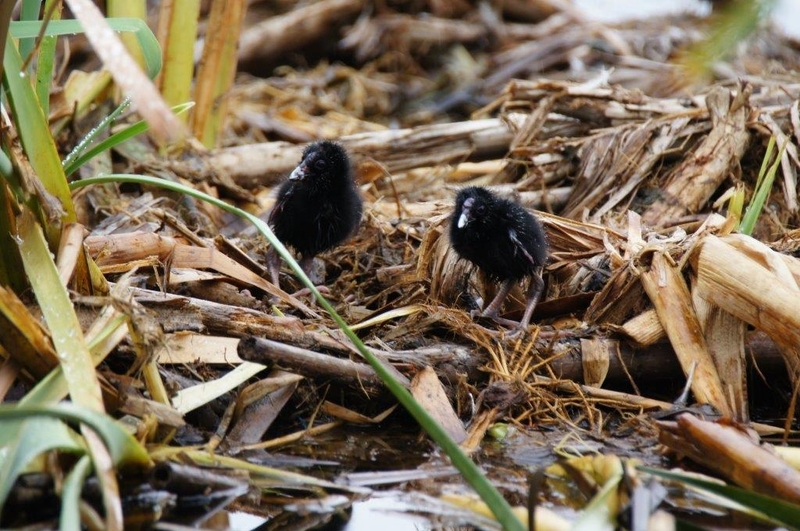 And shy they are, but whether they are just a few hectares or thousands, wetlands teem with life and biodiversity. But we have to stop, look and listen, for while some species are happy to reveal their presence, others are totally reclusive. That’s the photographic theory. I have this new super zoom lens and I reckon a wetland is just the place to test both the lens, and my theory. So here I am at the locally significant Hamilton Lake. I’ve been watching, and waiting, for all of 30 minutes. 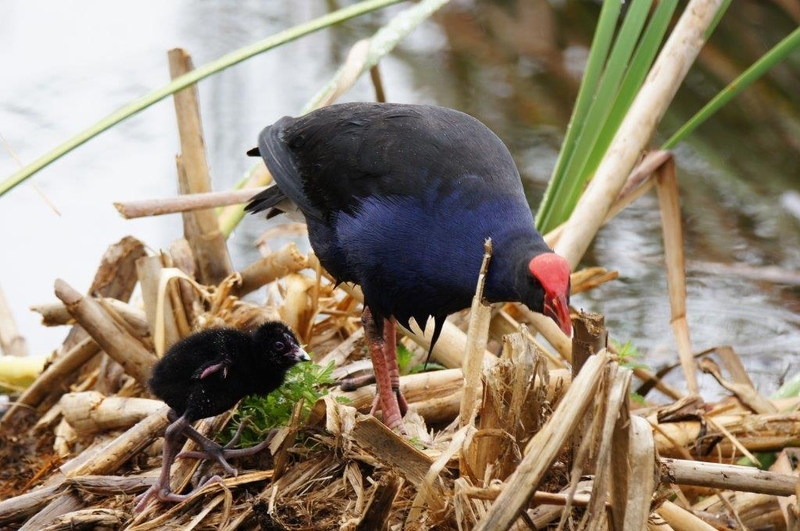 There’s a couple of pūkeko chicks over in the reeds, and several adult birds nearby. So who owns the chicks? Will they come together for a family meal? Would that be a great photo? And patience, you say? It’s a virtue, according to the proverb, but the minutes tick by, the chicks are staying put and the adults showing no interest. And it’s starting to drizzle on my new lens! Can I wait much longer? 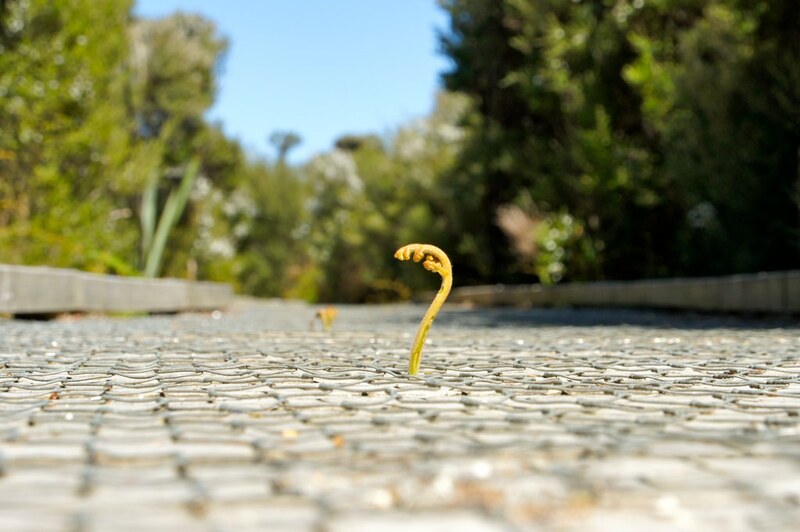 Don’t move, there’s action – mum (or it could be dad, an uncle or an aunty!) picks her way across flattened stalks and starts feeding the hungry youngsters. I’m trying hard for that perfect image, but reeds and stalks keep getting in the way! So I keep pulling the trigger and hope when I get back to the computer and check images, there will be something worth keeping. And so it proves, four or five out of a hundred or more are worth keeping, at least until next time when I will strive for something better. 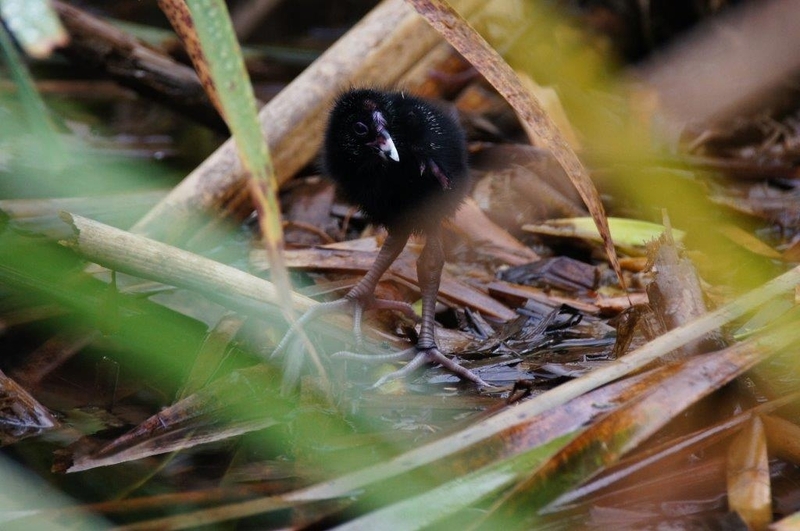 There are only 7 days left to enter the international 2015 Wetlands Youth Photo Contest. Send in your best wetlands photographs to be in with a chance of winning a free flight to a famous wetland of your choice, anywhere in the world! Thanks for your marvellous post! I seriously enjoyed reading it, you’re a great author and photographer.